lighting is a little weird in this top photo so i'm sorry! on a side note, hello!!! after talking to a childhood friend today, i felt a bit nostalgic and i went back to my old bedroom and started digging up memories. i have been using lists since i was an annoying-high-school-musical-and-hannah-montana-loving tween and above is just one example: my bucket list that i wrote when i think i was about thirteen years old??! i have also been dreaming about my future for as long as i can remember -- from my big wedding day to my career choices. it is just so so so fascinating looking back and thinking about how even though i was so small and naive, my dreams were still so big. i'm still the same person. my dreams are still as big now at twenty-one as they were at thirteen years of age. 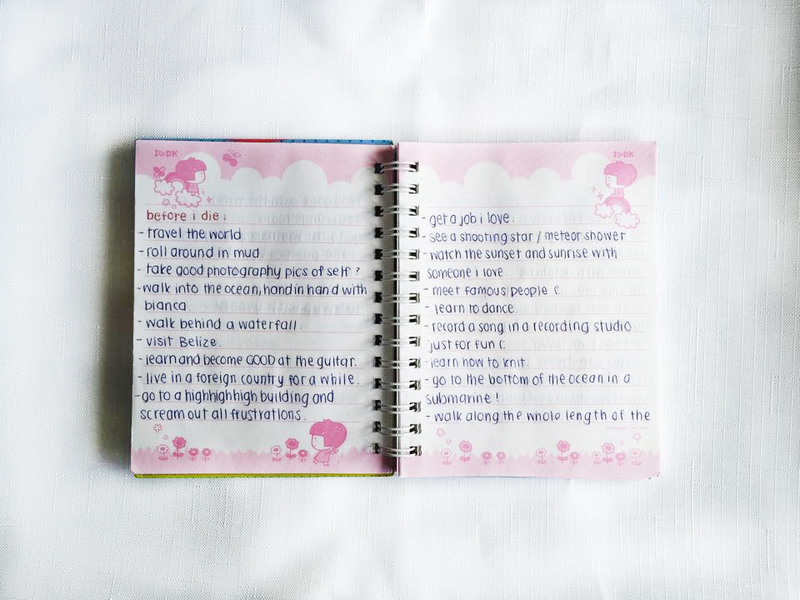 i began documenting my memories since 2009 with dolly diaries! i couldn't find my 2009 diary though but above are my 2010 and 2011 diaries. in 2010 i think i went a little crazy because it is so battered and filled with studio show tickets, photobooth photos, receipts, school musical pamphlets, old artwork and notes that were passed around in class. 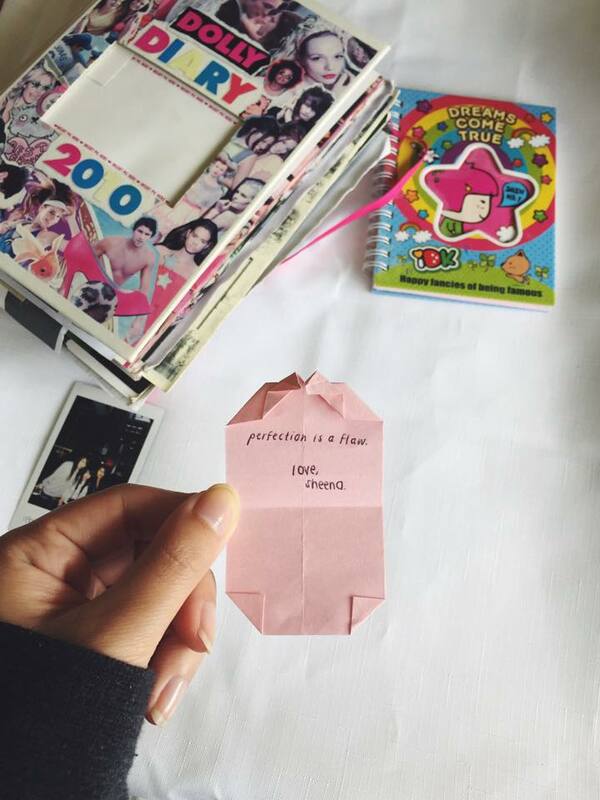 i also found a little note that i had written to myself in 2010. it was labelled "dear heart" and was folded into a note with a heart shaped origami on top. i opened it up and it said "perfection is a flaw. love, sheena". it was just a little reminder that nobody is perfect. as cheesy as this sounds, everyone makes mistakes and that's okay! it's all about learning from your mistakes. did anyone else keep diaries and memories when they were little? 3 comments on "CHILDHOOD DREAMS AND MEMORIES FT. A NOTE TO SELF"
I kept a written paper journal from about 1999-2003ish and sometimes its so embarrasing re-reading them! Even LJ days as well... (still occasionally do write in there) ahhh, memories~ .___. 1999-2003 seems like such a long time ago! i was forced to keep a travel diary in 2005 and i hated writing in it every night! but looking back on it now it was such a good idea and reminds me of all my adventures when i was 10-11 hahaha. i used to have a LJ too! hehehe.